Shop to You Drop: Tucson Gem & Mineral Show! 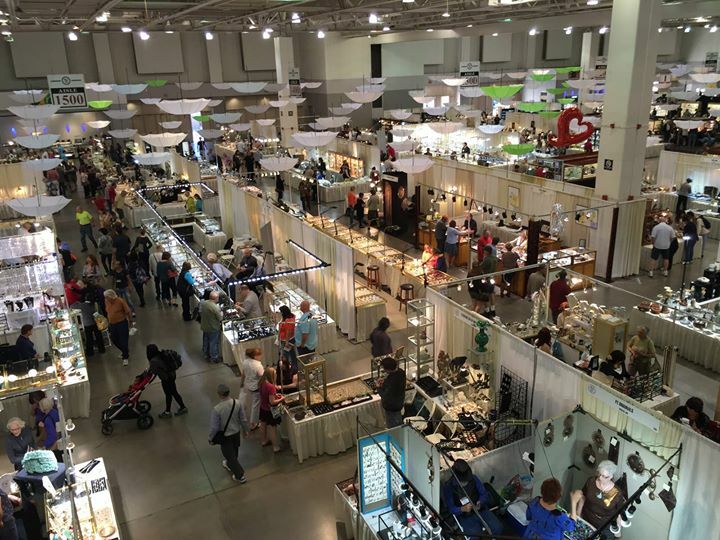 The Annual Tucson Gem and Mineral show is the largest of its kind in the world, with 37+ shows going on at various times over a two-week period. The venues are spread-out all-around Tucson and it can be an overwhelming experience if you have not previously attended. This Beadventure is designed so you can visit many of the main bead venues and not have to worry about shuttle buses, long lines, and waits between shows and registration. Beadventures will make it easy for you to access the major and best shows. Your knowledgeable leader, Doris Coghill, has both shopped and worked at shows for more than ten years. Doris will review the 2020 Show Guide to make a game plan for the group so you can maximize your time by getting into the best shows. 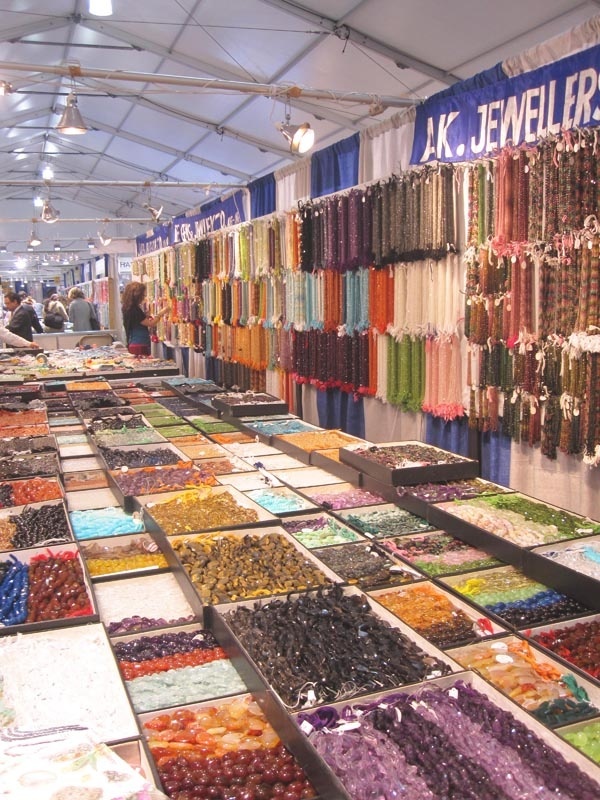 During your four full days of shopping, you can expect to visit the Best Bead Show; To Bead True Blue; the Holidome and Gem Mall; the Holiday Inn show; and many more if they can fit in. 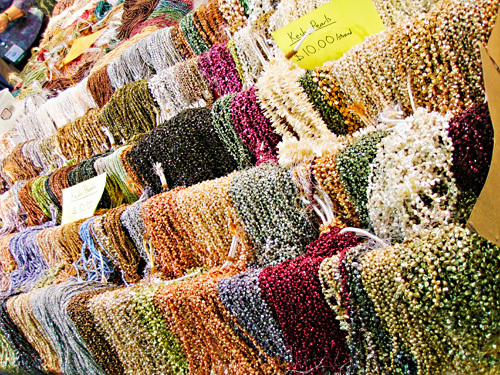 There also will be opportunities to advance your understanding of beads and gem stones, such as: how to tell the quality of a pearl; how to tell if what you are looking at is glass or stone; how to distinguish between what is labeled as a semi-precious stone is actually made of glass; how pressed glass beads are made; how to determine where a bead is made by looking at it. If you arrive by mid-afternoon on day one of the Beadventure, we may be able to visit an additional show that afternoon. This Beadventure is a great way to let Beadventures sort out the shows, who is where, and key into your areas of interest so you can do what you go for—to buy beads! About Tour Leader Doris Coghill . . .
Doris left the corporate world in 2000 to pursue beads full-time. Since then she has spent her time being a sales rep for a bead company; designing kits and teaching them both locally and nationally; leading Beadventure tours to the Czech Republic, London, and Providence, RI. ; maintaining her web site; and growing her online business at www.beadsbydee.com . She has also contributed projects to 7+ books by various publishers and has had many articles/projects published in the leading bead magazines. She is also a show promoter herself and puts on two bead shows per year in the Minneapolis area. If you want to come early and/or stay later, let us know and we’ll work with the hotel to book the additional nights. This is a small group, so space is limited. To hold your space, first please review Beadventures' Conditions & Reponsibilities; then send in a $1,000 deposit and completed registration form (the last two pages from the Conditions & Responsibilites information). Final payment will be due 90 days prior to start of the trip. Trip Notes . . .